As of recent years, noise pollution has evolved to become a serious problem for wildlife, altering the balance of predator/prey detection as well as navigation patterns for animals. In addition, noise pollution inflicts harm upon civilians, causing hearing loss and other negative effects on human health. By mapping out noise pollution in an area, sources of noise pollution can be found and targeted for removal. As a result, a heat map of noise level or other parameters involving city data can directly impact the residing human and animal population. 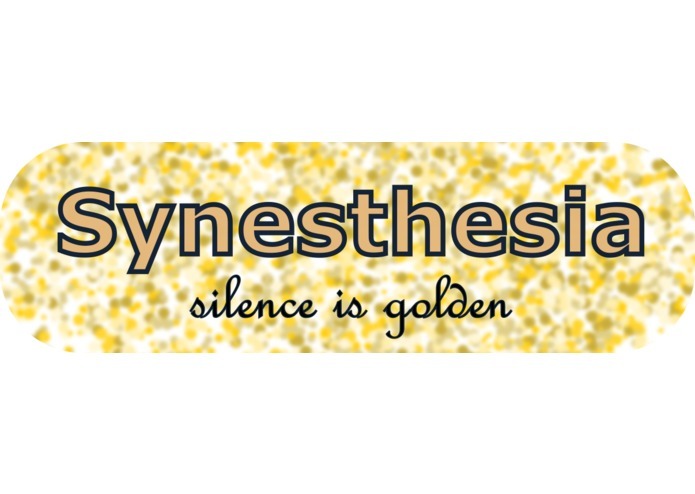 The name "Synesthesia" comes from the idea of being able to experience multiple senses at once. For our team, this project began with the goal of visualizing noise pollution, or "seeing sounds." We've expanded further to include additional items of visualization since beginning, but our overlying theme of "seeing sounds" has expanded to a general motif of "seeing data," where data acts as the 6th sense to human perception. Our novel, mobile-friendly web app provides a means for visualizing city data--encompassing the options of noise pollution via noise level, temperature, pedestrian flow, air pressure, humidity, and traffic. The data is visualized in the form of a heat map of major city Atlanta, Georgia. Synesthesia prompts the user to select a desired time window; the web app is then able to generate a time-dependent mapping of the data. This app could benefit a variety of users, including home owners, commuters, environmental researchers, and urban planners. The application is based around a web backend, powered by flask and ElasticBeanstalk, that queries the GE Current REST API and performs data analysis on the result. The data is then passed via JSON to the web frontend, hosted on AWS S3, which uses leaflet.js and heatmap.js for plotting data. Expand the app's database so we can provide data for many more major cities. I worked on front end design and project organization. I worked on the front end framework and svg visuals. I worked on the back end and got all of the web services to be hosted and to communicate. I implemented the GE Digital API. 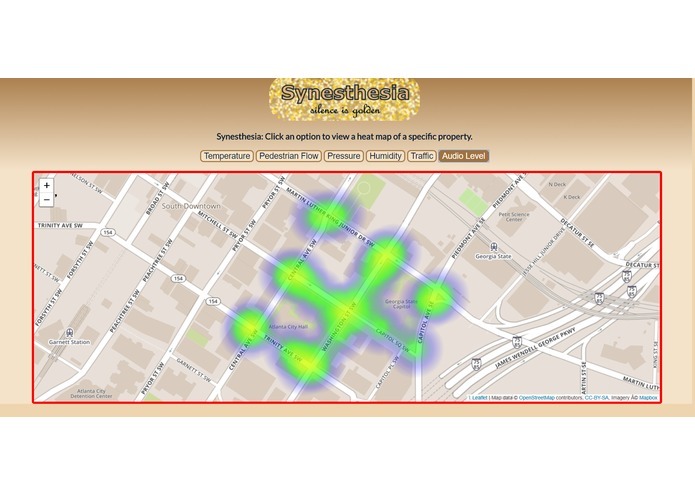 I primarily worked on the data visualization part of the project, particularly on putting together the heatmaps.